This device can be easily used with any common temperature sensor. It is also easily usable with a slidewire transducer or millivolt signal and produces a 4 to 20mA output signal. 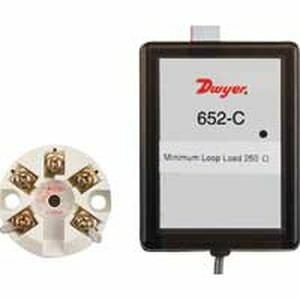 It gives the customers an easy option to program the Input type and range with the help of PC and simple Windows™ based software program Model 652-C. The customers are also free to change the measurement units, high/low range, filtering-factor, offset, and transmitter reference details. It also boasts of 500V input to output isolation which ensures that the ground look effects are negated. It is also equipped with four filter settings to remove signal noise. other features include compactness and versatility.